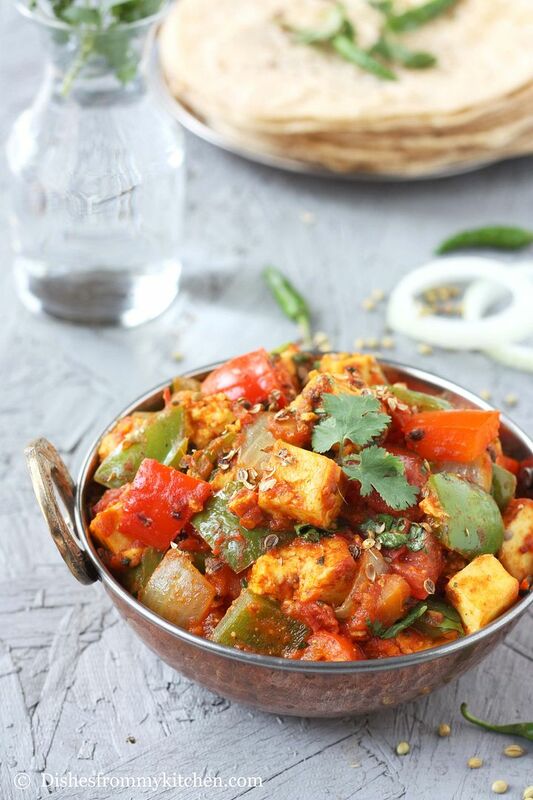 Dishesfrommykitchen: KADAI PANEER - RESTAURANT STYLE !!! 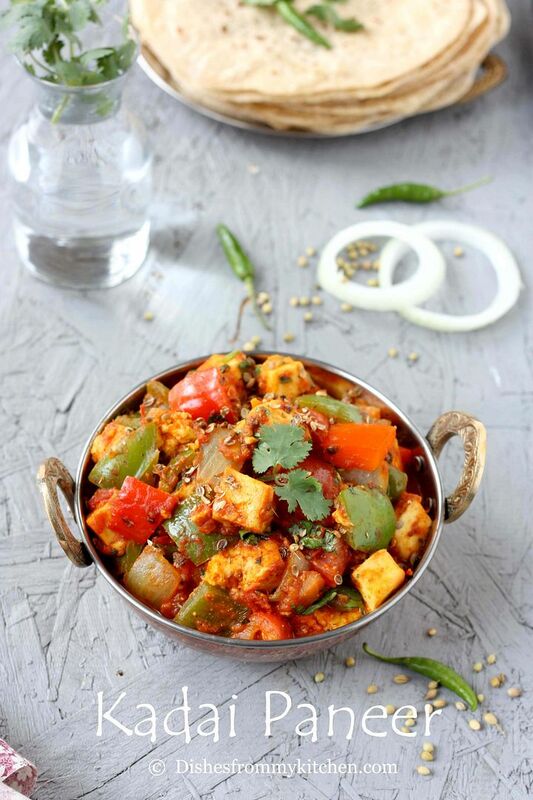 Kadai paneer is the combination of paneer and bell peppers coated with spicy tomato sauce, aromatic spices and herbs. 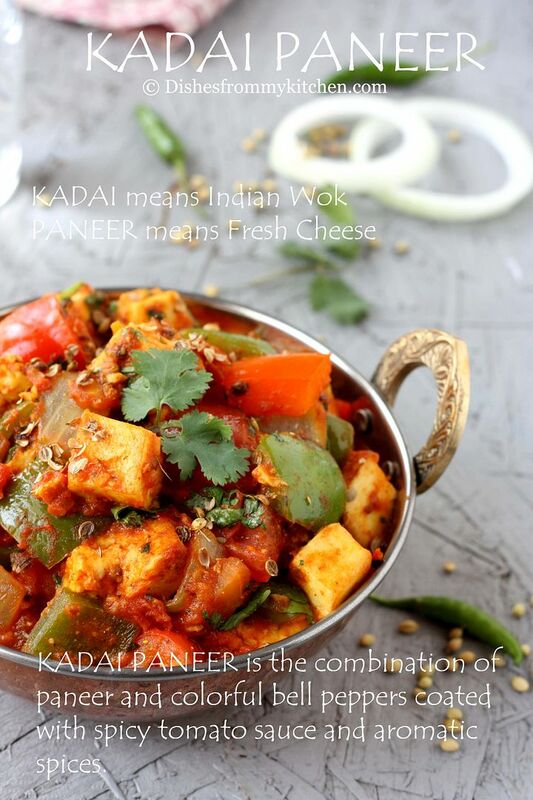 Kadai means "wok" and paneer is " fresh cheese". 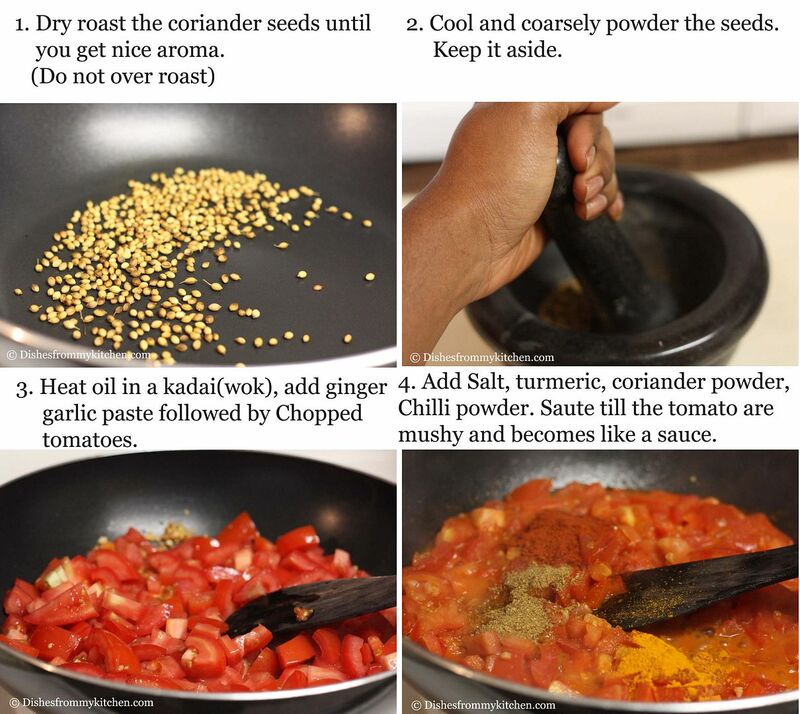 This is absolutely very tasty and easy side dish to make. 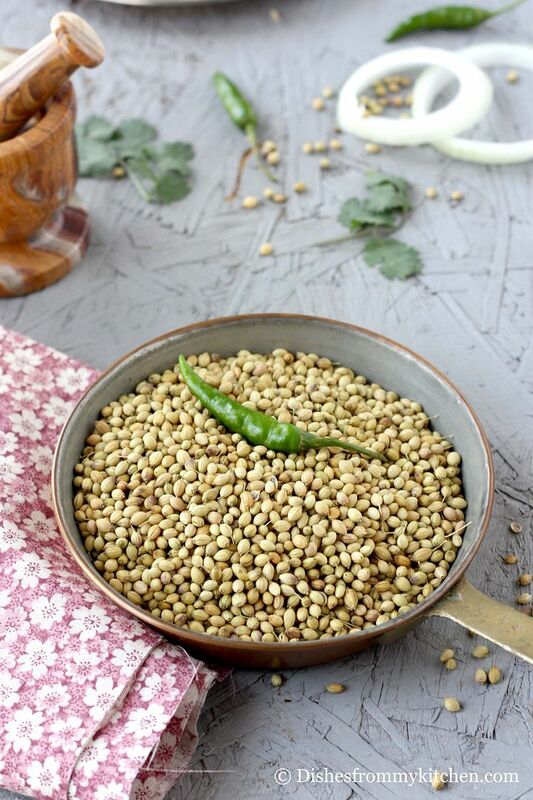 This goes very well with soft phulkas, roti and even simple pulao. 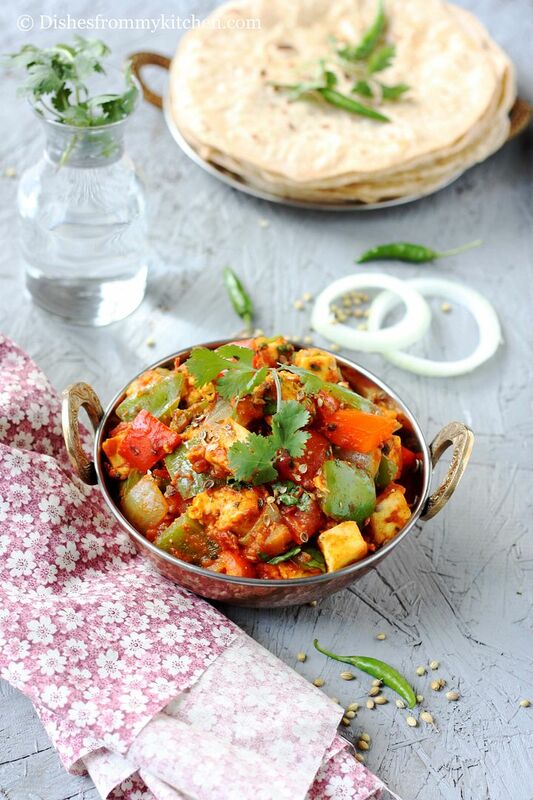 Enjoy the piping hot Paneer in a cute small kadai with the soft phulkas. 1. Do not over cook the bell peppers. 2. 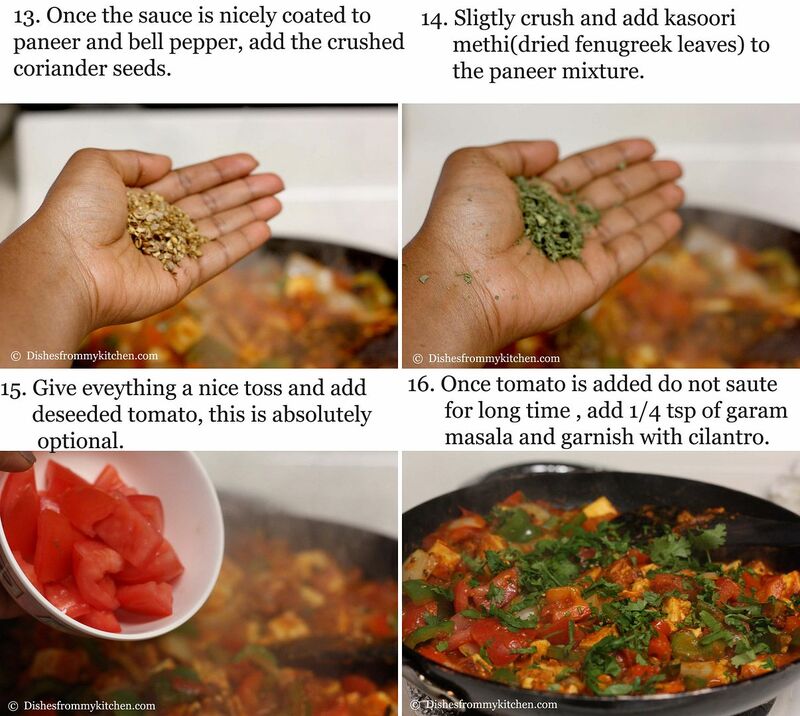 Choose the tomato that is not too sour. 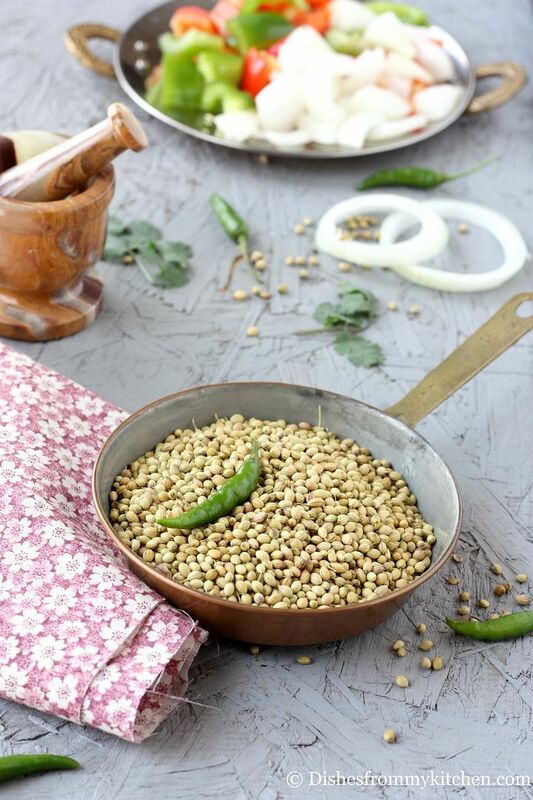 Serve and enjoy piping hot with your favorite Indian bread, stuffing for sandwich or with any pulao !!! 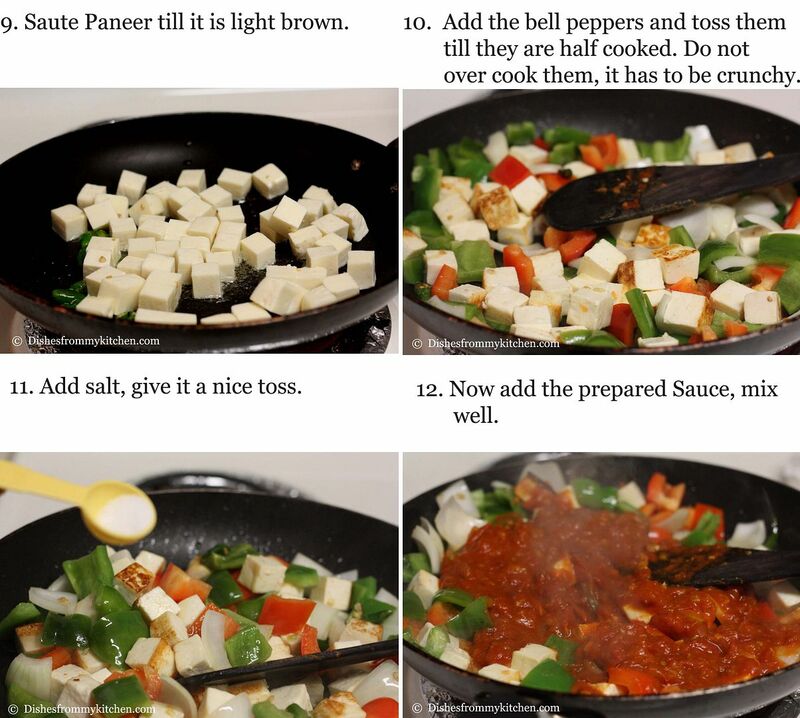 Mouthwatering.Very well explained, good clicks. Looks so colorful and inviting , lovely composition ! Looks very nice, just like from the restaurants pavi...nice pics. So colorful and tempting dish. I drooling here.Pictures are awesome.Thanks for sharing..
Yummy and colourful recipe....nice pics. 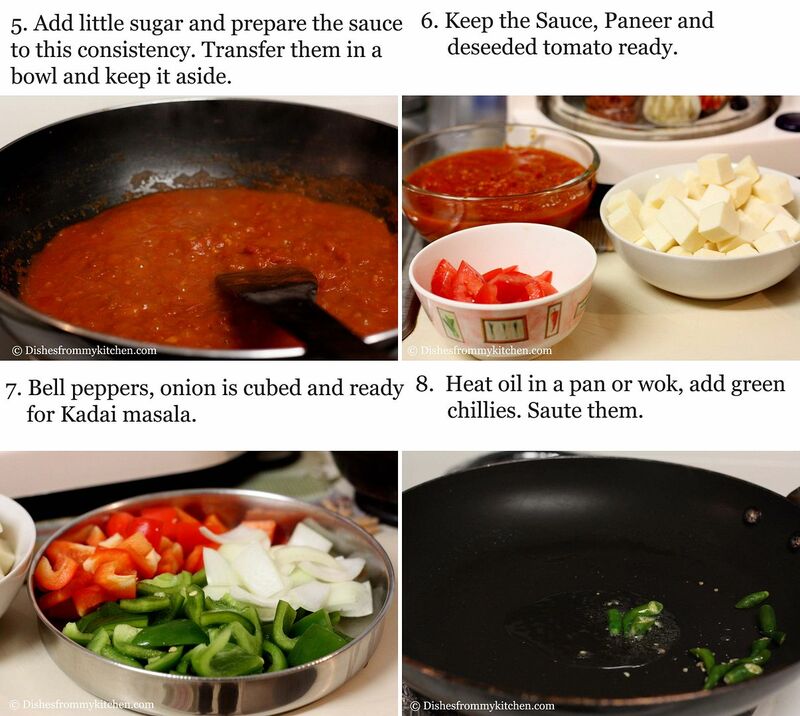 hi pavitra your dishes are wonderful! do you click the pictures in day light?They are so perfect!